has me giggling like you wouldn't believe! Or just chill with an awesome bunch of ladies and some great food and drink as the case may have been. 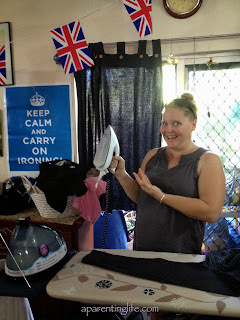 Thanks to Philips I gathered some of my buddies and held a bit of a British themed ironing party on the weekend. Firstly let me just say that I feel incredibly privileged to be able to even say I had some buddies to gather. The fact that they actually turned up is even more of a blessing. Now I know generally speaking I don't tend to worry too much about things but when it comes to throwing a party and having peeps turn up I tend to worry like there is no tomorrow. Thankfully though this was an occasion where I had just the right amount of guests. Given that it was all being held in the shoebox it was lucky the guest list was not too long. Mind you I may have got a tad carried away with the food preparation and prepared enough for a small army. Just some of the fan fare. Choc Orange Swirl cupcakes with cute little toppers. A close up of some of the British food I was sent. I had a few British guests who assured me authenticity of it all. Cream cheese, sour cream, smoked salmon and a shallots,all whipped together. I say whipped because I used my electric egg beater. In keeping with the British feel, despite there being watermelon on the table, which is clearly not British just incredibly refreshing, there was also Pimms. Oh and tea, but nobody drank that because, well there was Pimms. Which according to my brief research is the beverage of choice at Wimbledon. Followed closely by champagne (which I also had on hand if you were wondering). Once everyone had arrived and settled we got straight into the game playing. Because what is a party without games? The games all revolved around the rather magnificent PerfectCare Aqua Pressurised Steam Generator. Honestly this iron is the iron of all irons. Even without being a dedicated ironer (and by that I mean someone who may have difficulty remembering where the iron can be found) I can recognise that this little baby is all kinds of awesome and then some. In fact the look on Suzy's face is testament to just how awesome this little baby is. 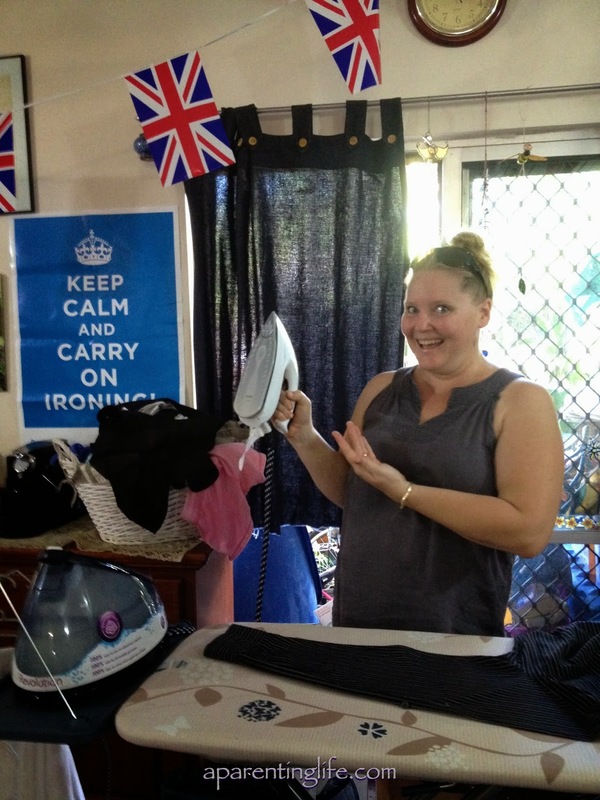 Suzy is a regular ironer on account of her husband having an important job and needing clothes that are wrinkle free. Sadly though until the weekend she was oblivious to the fact that not all irons are created equal. 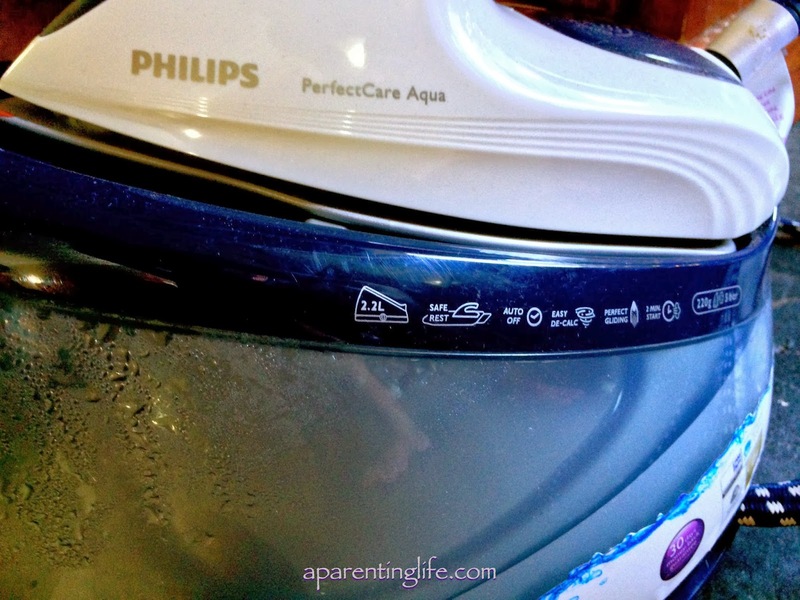 A fact she quickly discovered after a few quick swipes of the ironing board with PerfectCare Aqua. Turns out that all Suzy's years of ironing practise paid off because that lady can get a shirt wrinkle free quicker than you can say Bob's your uncle, not that I ever say that because Bob was my dad and therefore could never be my uncle regardless of how fast you said it but that is probably a story for another day. Anyway Philips had kindly given me an extra iron to pass on to one lucky guest and Suzy's ironing speed and ability made her that lucky guest. Suz left with one of the biggest smiles and making jokes about the steamy night she was in for as she got to know her new love a little better. Suzy was not the only guest in love with all things iron related and nor was she the only one that left grinning from ear to ear. For those that like fine print, I was gifted a PerfectCare Aqua for my original review. I was also given heaps of cool stuff (too much to mention) to host an iron party. 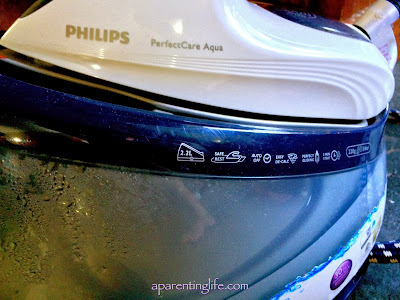 I actually enjoy ironing and have been thinking about one of these when my old iron finally dies - I did drop it the other day but its still going ! Looks like a fun get together. Who would have thought ironing could be so much fun!! 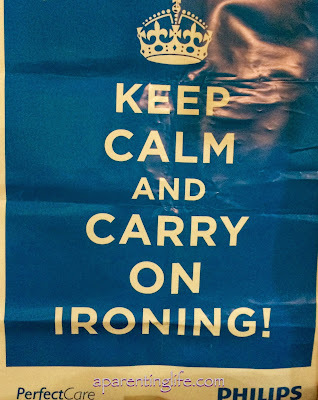 I do not even own an iron! I am the same as you I worry about hosting the party I rather just go to a party. Thanks for sharing you're steamy night!! I know I was so surprised as well but it was so much fun playing with an iron with your friends. It was a lovely afternoon, and such a great excuse to have a girls afternoon. And have I mentioned lately how much I love my new ironing board? lol about the door stop, and thank you on the food, it may have taken most of the morning to make! Well if Bob was your dad too we must be like sisters or something then huh? Ironing sewing is kinda a must and yet isn't really like ironing as such. 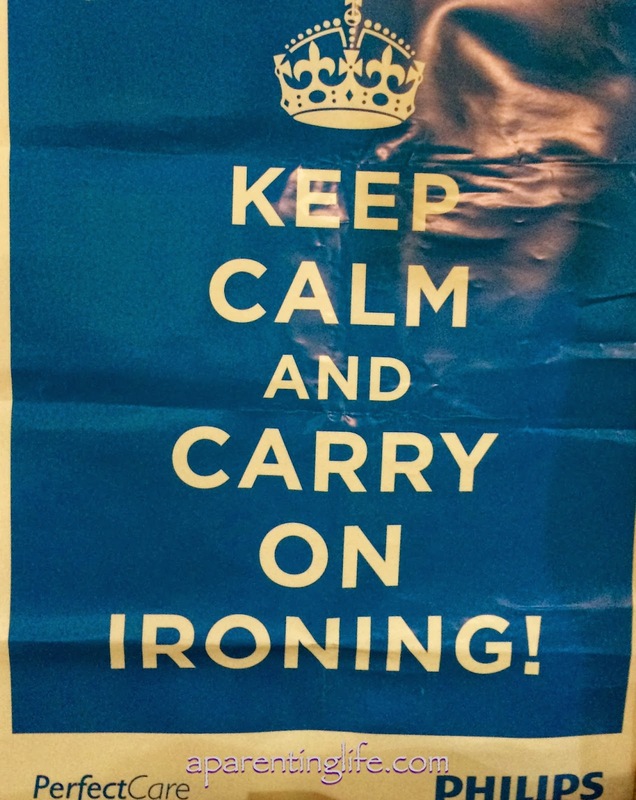 Since I've been on maternity leave (last two years) I think I've only picked up an iron a handful of times. I HATE ironing, and luckily now I don't have to wear business shirts/blouses & my hubby's shirts are fine un-ironed, I hardly ever have to do it!!! Yes I am so glad we live in a world where it is not mandatory. My high school shirts had to be ironed. I don't know how I would cope if I had to iron school or work uniforms! I have one of these irons and they are pretty damned special. I am not an ironer personally, but if I must I prefer it be with the best! Looks like you all had a fabulous time! Loved seeing the pictures on Instagram! Love the theme of your party! That is so funny! I would never thought of having an ironing party. And if I was invited to one I'm not sure I would have attended, but yours sounded like soooo much fun. Yes I did have to convince a few of the guests that it would be fun despite the theme.